One of the first iPhones "assembled in India." 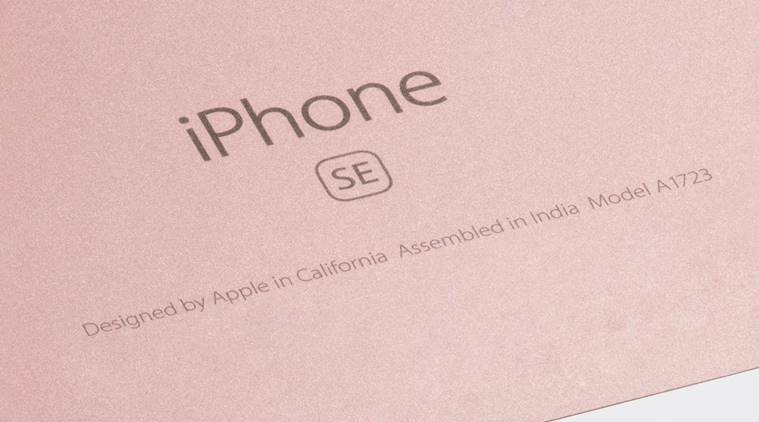 Apple’s first iPhone SE units manufactured in India are now on sale in the country. “Designed by Apple in California, Assembled in India,” reads the tagline on the back. Despite being made locally, the devices cost exactly the same as those shipped from China. Since the iPhone’s inception in 2007, almost all have been manufactured by Foxconn in China. Apple partnered up with Wistron to open a factory in India, one of the world’s fastest-growing smartphone markets, in an effort to expand its footprint locally. It is expected that manufacturing handsets in India, and cutting out the costs associated with importing them, would allow Apple to reduce its final selling price. Even older models of the iPhone are too expensive for the vast majority of consumers there. However, prices remain unchanged so far. Flipkart, one of the largest online retailers in India, is still selling a 32GB iPhone SE for Rs. 21,999 (approx. $341), maintaining the 19 percent discount that was already available. In the U.S., the same device costs $399. Apple started selling the iPhone in India way back in 2008, a year after it made its debut. But according to the most recent figures, it holds just 3 percent of the Indian smartphone market, which is dominated by vendors who offer much more affordable devices. A whopping 95 percent of handsets sold in India cost less than $500, while more than 75 percent cost less than $250. A recent report claimed Apple has given retailers permission to slash the price of older iPhone handsets in India in an effort to boost sales. Some retailers have also offered other incentives, like cash back and product exchanges, to make them more affordable.